It's exactly one month that DomainKing Nigeria (domainking.ng) has not been able to render services to customers that have paid for web hosting, domain registration etc. Many sites hosted on their servers are down and their customers can't even login to the domainking website anymore since NIRA shut it down. While updates on their Facebook page claim they are facing some technical issues with their system, some online sources claim the founders of domainking.ng were arrested on February 4 by Indian authorities in Punjab, India and are in police custody for various charges. 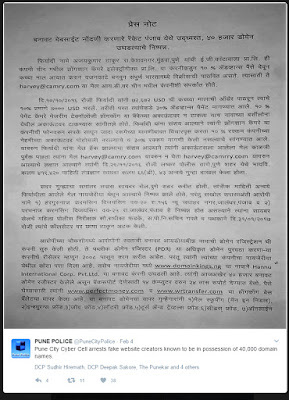 According to the online reports, the accused (Hargurnaz Karimsingh Vijaysingh and Parabhnaj Karamsingh Vijaysingh) were nabbed after the police received a complaint from one Ajaykumar Thakur who lost $7,000 to an email scam which involved a fake custom email address (harvey@camrry.com) registered through domainking.ng. Further investigations revealed that the domains were sold to people from about 100 countries, including 116 Pakistanis and the accused never cared about what the domains names and sites were used for all because of the money they make. According to an online report at Sakal Times, in 2008, Hargurnaz had set up Ideaa Biz Solutions as domain registrar, web hosting and Internet company. In 2014, he established Hannu Internet Corp. Private Limited with him and his mother as directors. This company operated operated from Jalandhar, India with 24x7 technical support with the help of 14 computers through the website domainking.ng. Police officials said that initially the accused did genuine work but since 2012, he had been associated with fraudsters mostly from Nigeria who use domain names for fake websites to cheat people through bogus lotteries, jobs, email spoofing, etc. 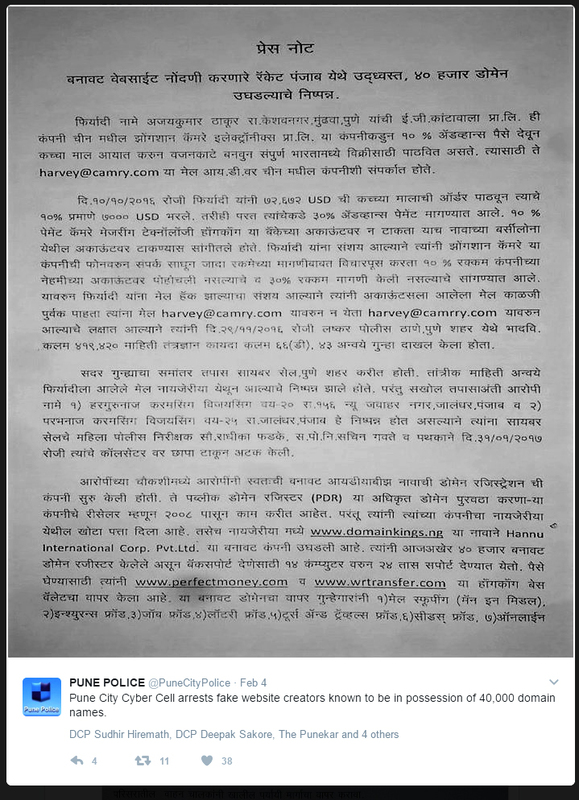 According to the police officials, Hargurnaz has studied Master of Computer Application (MCA), while his brother Parabhnaj is 12th pass and out of the total 86,000 websites they manage, 30,875 were registered by people from Nigeria. 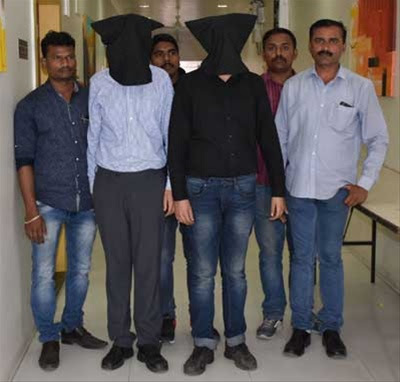 "We are in the process of getting records of the accused’s email conversation with those who had got the websites registered and hope to get information about their activities,” a senior officer told Sakal Times. So, all of you that have been asking me when domainKing will be back, I hope you now know what's up. Let's hope the police will release them soon so they can do the needful. If you've registered domain names with domainKing and you are sure they are legit, you can transfer them to another domain registrar. I've successfully moved all my domains names (.com and .ng) from domainking elsewhere today. 0 Response to "DomainKing.Ng Owners Arrested In India For Variety Of Charges "